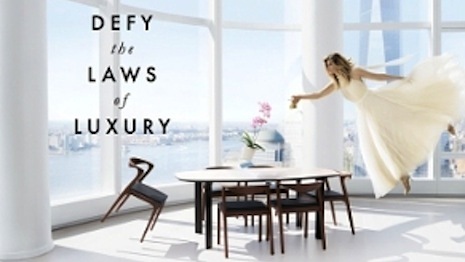 Luxury apartment complex 50 West, a new development in downtown Manhattan, is exemplifying the amazingness of its vacancies through a photo shoot that incorporates happenings that go against the laws of nature with a Saks Fifth Avenue partnership. The New York building took a conceptual approach to the campaign, hoping to show off its breath-taking views with attention-grabbing photographs. As per a partnership with Saks Fifth Avenue, the department store provided accessories and clothing for the shoots.